The Arsenal midfielder does not jump out as an obvious bookworm but used a reading analogy to tease his future to his Instagram followers. The 26-year-old is under contract with the Gunners until July 1 bit might want to freshen up his career after missing out on the England World Cup squad. Last season, in an encouraging return to fitness, Wilshere made 40 appearances for Arsenal. But only 20 of those came in the Premier League as Wilshere struggled to lock down a first team place and the Gunners finished a lowly sixth, contributing to Arsene Wenger’s painful exit. 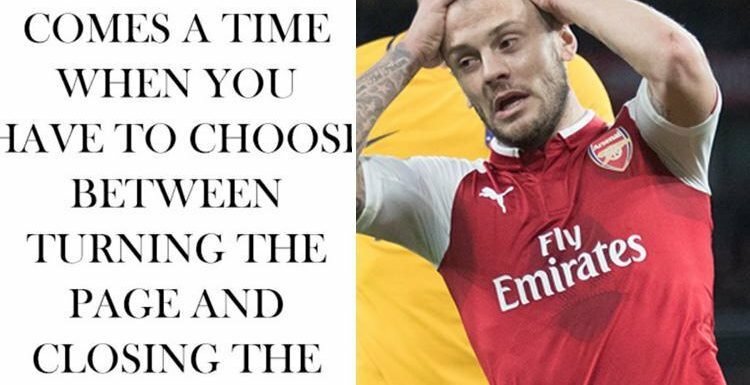 Even after a loan spell at Bournemouth, Wilshere repeatedly stated his desire to remain at Arsenal. But, with fresh faces running the club from top to bottom, he might not find the usual level of long-standing loyalty at the Emirates. The playmaker has reportedly been offered a new deal but would have to take a 25 per cent pay-cut on his £120,000-a-week wages. Italian media has reported that Juventus had offered Wilshere a four-year contract. The Turin giants are apparently keen to pair him with ex-Liverpool ace Emre Can in the centre of the pitch. But Spanish coach Emery will try and tempt Wilshere to stay by laying out his vision for the player and Arsenal.